As wonderful as library databases are, the results they give you depend on what you type into the search box. 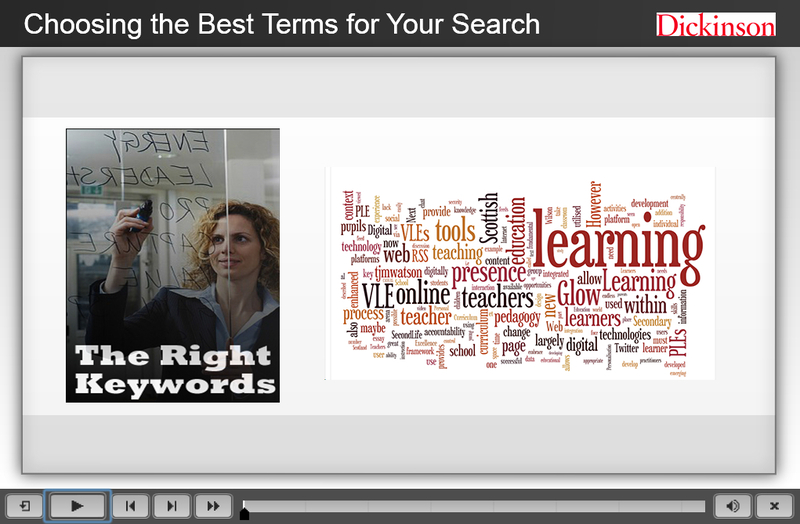 The better your choice of search terms, or keywords, the better your results. This tutorial will introduce you to several methods to help you develop better search terms for your research. Choosing the Best Terms for Your Search by Dickinson College is licensed under a Creative Commons Attribution-NonCommercial-ShareAlike 4.0 International License.